Going without solid food for several days can seem like a scary but juice fasting is one of the most effective ways to detox your organs. With a range of health benefits, from increased energy levels to weight loss, Paul Joseph, co-founder of Health and Fitness Travel, the leading specialists in wellness holidays worldwide, shares his insight on why juice cleansing is so good for you. With today’s society typically consuming high quantities of fat, sugar and protein, mostly processed foods, our insides are usually overloaded, leading to a knock- on effect on our health. To give our bodies a break and time to recover, it's a good idea to do a cleansing detox break once a year. 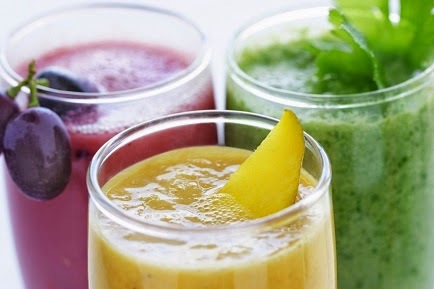 This cleansing and healing process can come in the form of juice fasting; a time where you only consume fresh vegetable and fruit juices to flush out toxins from your body. After the juice fast, you are then able to refuel your body with organic foods, to replenish your body. But what are the benefits of this concept of not eating solid food for a few days? With poor diet, pollution and high stress levels, our bodies become more and more acidic; a juice diet transforms the body into a more alkaline and balanced state, which is kinder to our insides. At first, your body will use up the remaining food left in your digestive tract, it will then use the food reserves in the liver, which is all then removed from the body leading to an already more cleansed state. It’s a good idea to drink a lot of water, as well as juice on this fast to fully flush out any toxins that remain. Despite this frequently being called a “fast”, the vegetable and fruit juices that you consume are more like a real meal, rather than just a drink. They are highly digestible and healthy food, and the best thing about it is that you can almost drink as much as you want without fear of overdoing it. The juice contains essential vitamins, minerals, probiotics and enzymes which are essential for your well-being. You’ll soon start to feel more alive, energised and refreshed! Carrots are a great addition to any juice, as a good source of vitamin C and they provide a lot of liquid, whilst apples are also a good choice as they add sweetness to a juice which could be a little rich on its own. Get creative and mix a few different superfoods together to see what you can come up with; try kale, blueberries or an apple to get an energy boost or grapefruit, oranges and kiwis to aid your immune system. Juice fasting does demand a fair amount of dedication and is not recommended as a suitable solution for working into your daily life. For those serious about detoxing their bodies, whether to lose weight or to simply cleanse and refresh, a detox holiday is the perfect option. With tailor-made retreats from Europe to Asia, embrace the opportunity to fully detach yourself from the stresses of daily life and focus on your health goals. With your organs free to function as they are meant to after a detoxing juice fast, you’ll notice a variety of benefits, from radiant skin, to reduced bloating and a stronger immune system. Not sure where to start? Click here for a great healthy juicing recipe book! Make sure you're also taking a super detox supplement like Blue Green Algae which is more effective than a super greens blend detox like Spirulina and Chlorella combined! Paul Joseph is co-founder of Health and Fitness Travel, the leading experts in tailor-made healthy holidays worldwide. He searches for the rare and hidden gems around the world and puts together exclusive and trend-setting holidays for those who would like to improve or maintain their health and fitness whilst on holiday. As well as a love of all things travel, Paul’s other love is exercise, cycling and yoga. Paul also contributes to the travel pages of various high-profile newspapers and magazines where he offers his expert advice on wellness holidays. For advice, guidance and booking visit www.healthandfitnesstravel.com/detox-holidays.